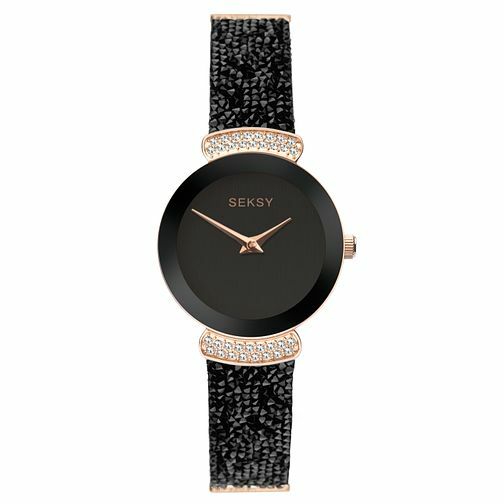 Add a touch of sparkle to your individual look with this beautiful Seksy Rocks® bracelet watch. This timepiece features a rose gold plated stone set case enclosing a bold black brushed dial. The watch is finished with a rose gold plated bracelet and black leather strap beautifully adorned with crystal ultra-fine rocks from Swarovski®.